Research by King’s College Hospital, London, has lead to this involved calling on a teachers and parents to be alert to the affects of dental disease and hence reduce the number of cases. Dental decay is currently the leading cause of hospital admissions and surgical treatment under general anaesthetic among children in the UK. The researchers at the hospital appealed to health professionals and educators to be vigilant in looking for signs of extensive decay or neglect, while also sending out a message to prevent cases of mild infection or decay from getting worse. Decay can be relatively simple to manage in the early stages, but if left untreated, it can develop, causing serious infections and complications, which could even be life-threatening. Kathy Fan and Marielle Kabban, the authors of the report, are hoping that their research encourages parents and teachers to take a more proactive role in trying to prevent dental health issues. They are keen to promote regular dental checks and also encourage parents to get involved in teeth cleaning and to keep an eye on their children’s teeth. If there appear to be dental problems, such as a child complaining of toothache or sensitivity, then a dental appointment should be made as quickly as possible. The researchers highlighted that parents shouldn’t be embarrassed or ashamed to see a dentist, as some children are more prone to decay than others. The researchers recognise that parents have busy lives, and they want to make sure that it is as easy as possible for children to see a dentist. 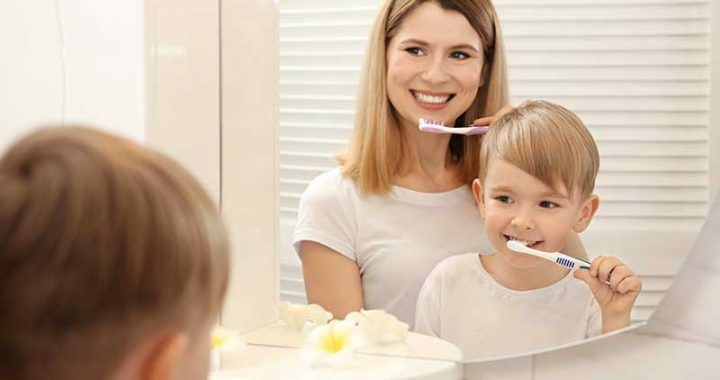 If, as a parent, you do have any concerns, don’t hesitate to contact Mannamead Cosmetic Dental Clinic, we are here to help and promote healthy smiles, rather than to judge or point the finger. Contact us to discover how we can help children and parents. Posted in Check-up, Children, Cosmetic Dentistry, Decay, Dental Health, News, Sensitive Teeth and tagged Children, Cosmetic Dentistry, General Health, News, Sensitivity, Smile.